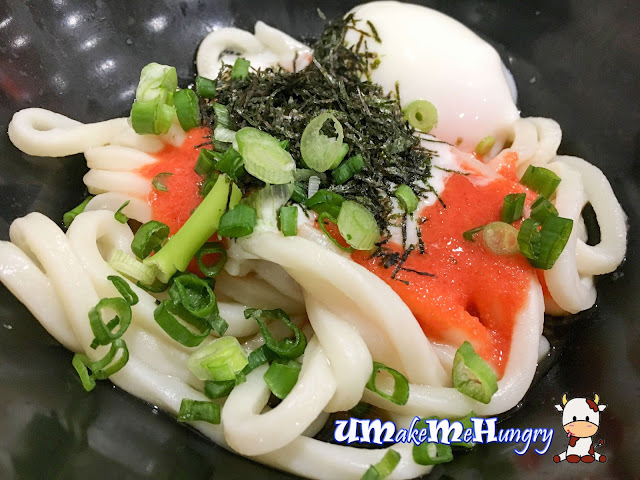 I'm not really a fan of Udon but was simply amazed by Tamoya's dining concept when my friend suggested that we should have this for dinner. Tamoya's Udon has won awards for its distinctive chewiness smooth texture and its popular broth. 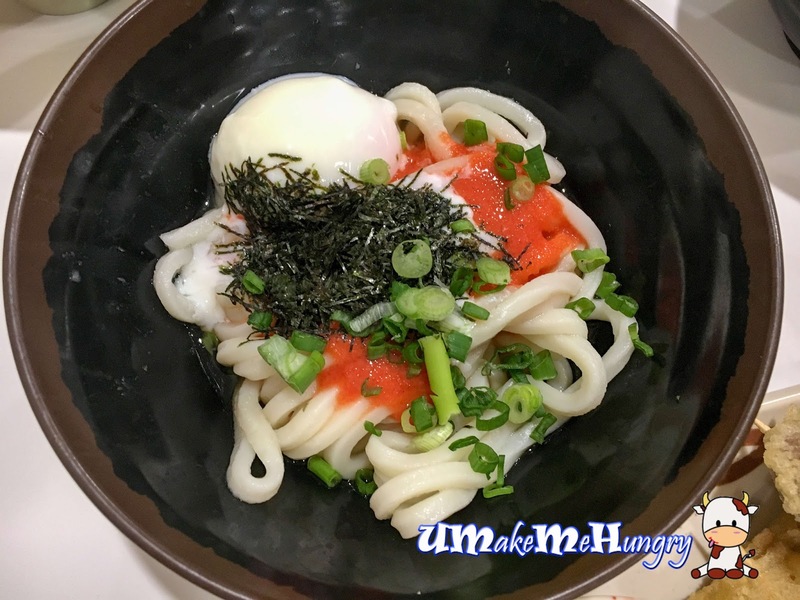 Ingredients of making Udon is rather simple with 3 items, flour, water and salt. 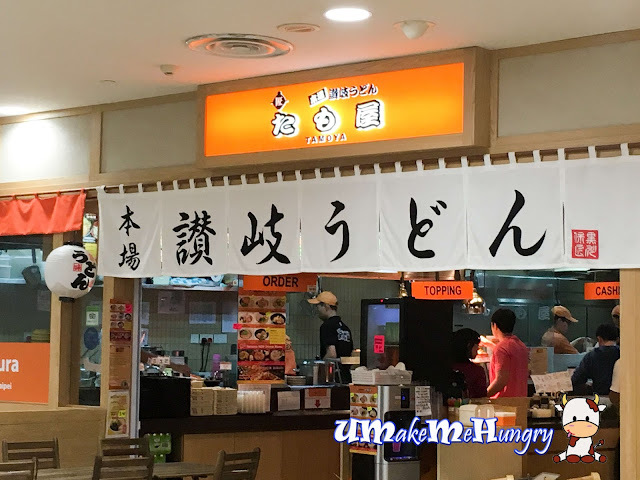 3 types of flours are used and they took pride in making the udon to perfection such that the blending of 3 flours ratio changed by each season, the amount of salt and boiling time is carefully measure base on the temperature and humidity on daily basis. 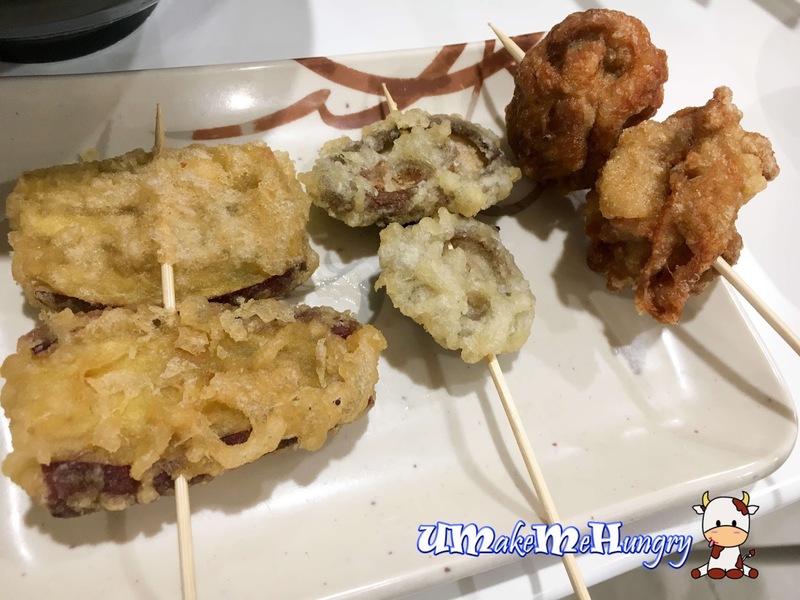 Pick your choice of hot / cold dishes from the menu and once you are done, you can pick up your choice of tempura side including fried oysters, Tako Yaki or veggie to accompany your bowl of noodles. Once after heading to the payment counter, you will proceed to this station for utensils and toppings. 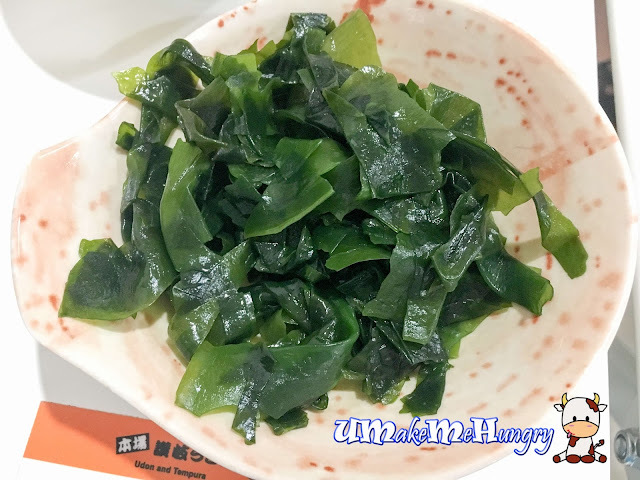 Grab your share of garnishing like tempura crumbs, spring onions, dipping sauce and seaweed. 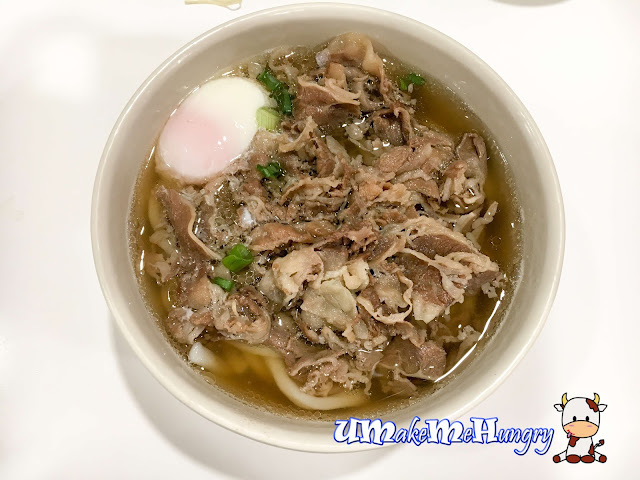 Having it the basic and plain style with kake Udon just in its broth if you want to taste the quality and texture of the noodle. 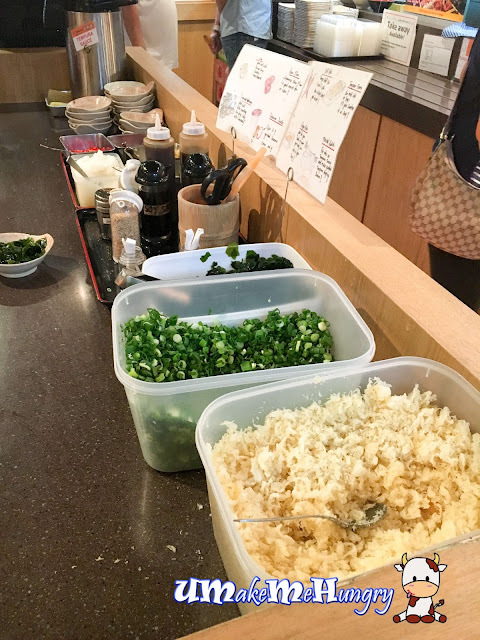 Mixing udon is interesting with a few ingredients in a bowl like minced pork, green onions, leek, garlic, bonito flakes, nori and an onsen egg. Toss them together and enjoy a riots of flavour. Beef was thinly sliced and brought a usual sweet salty beef taste complimenting the yummy broth well. 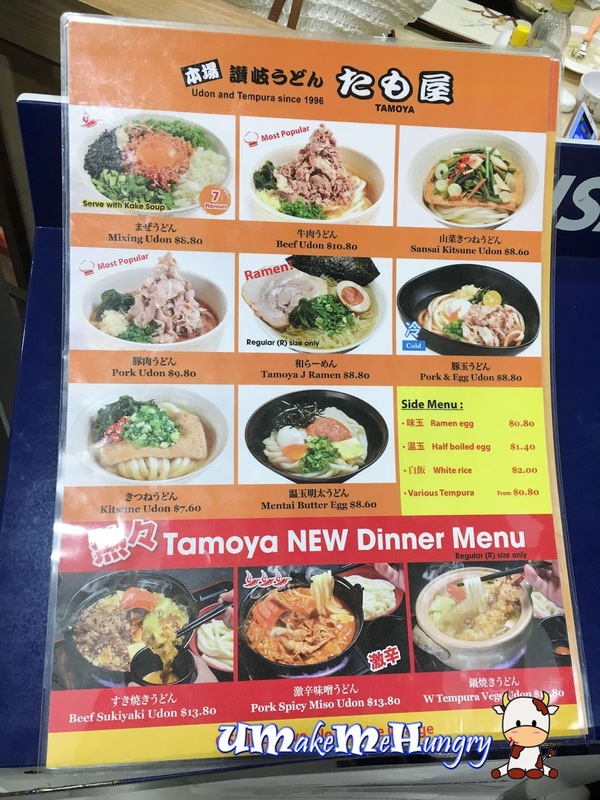 In terms of quality as compared to the ones we had in Yoshinoya, this is much better. 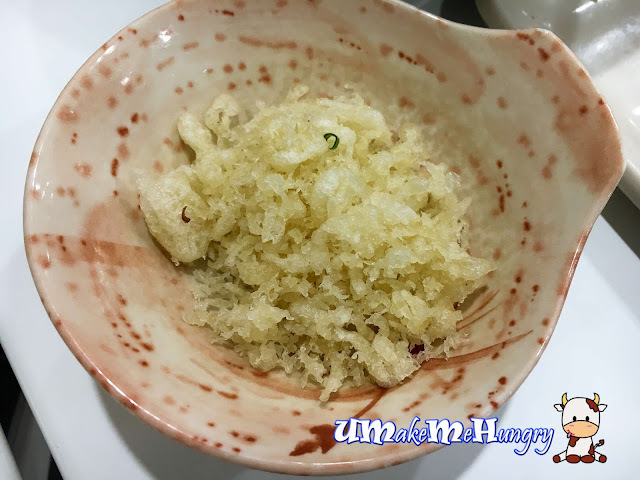 Mentai Butter Egg came in dry version and just mix them altogether to enjoy the little bits of mentai over the thick strands of Udon. It tasted yummy :) . However the butter smell was not too distinct or close to none here. 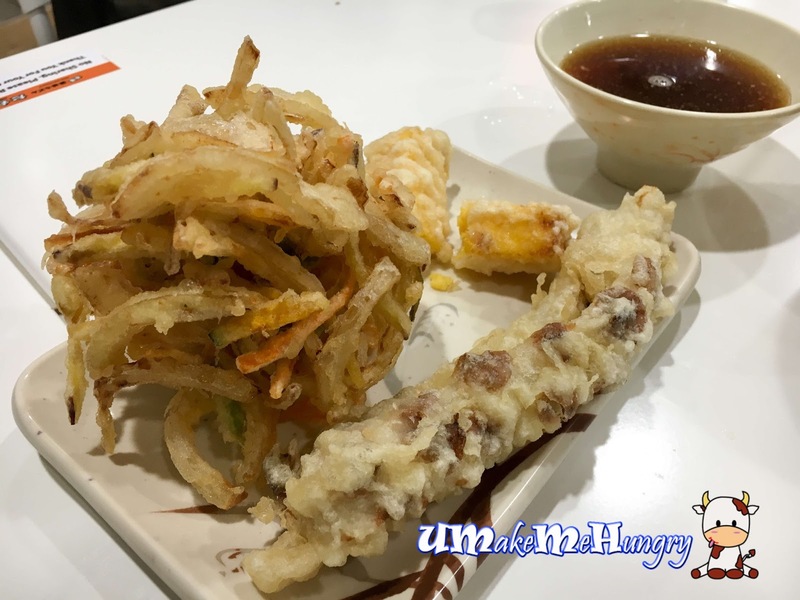 You get to choose different kinds of tempura, however it might be a little disappointing here as it may not be as crispy as expected as items were left on the shelves for quite a bit of time. Nevertheless if you are soaking them into the Udon Broth, crispiness does not matter here. If you want some simple Japanese food in Liang Court over ramen, you may want to visit Tamoya for a different dining experience.